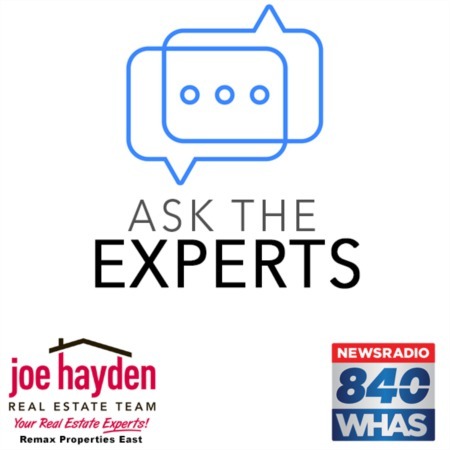 15201 Abington Ridge Place Louisville, KY 40245 | Home for Sale | MLS #1390537 | Joe Hayden Real Estate Team - Your Real Estate Experts! 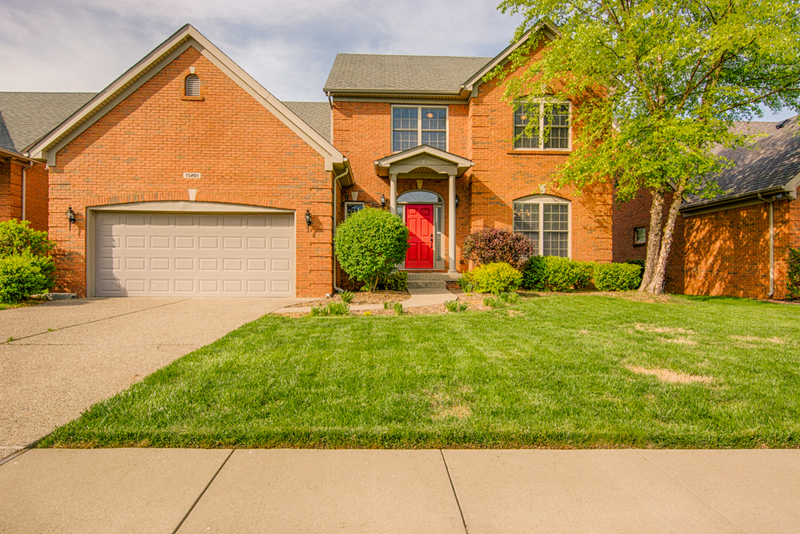 There are not many better locations in Louisville than the Lake Forest subdivision and this spacious home at 15201 Abington Ridge Place puts you right in the middle of the neighborhood. Situated on a quiet cul-de-sac street, this robust brick home features an open floor plan, 4 bedrooms and 2.5 baths. The family room centers around a gas fireplace and charming mantle, and all windows along the rear of the home have a pleasing view of the Arnold Palmer-designed Lake Forest Golf Course. 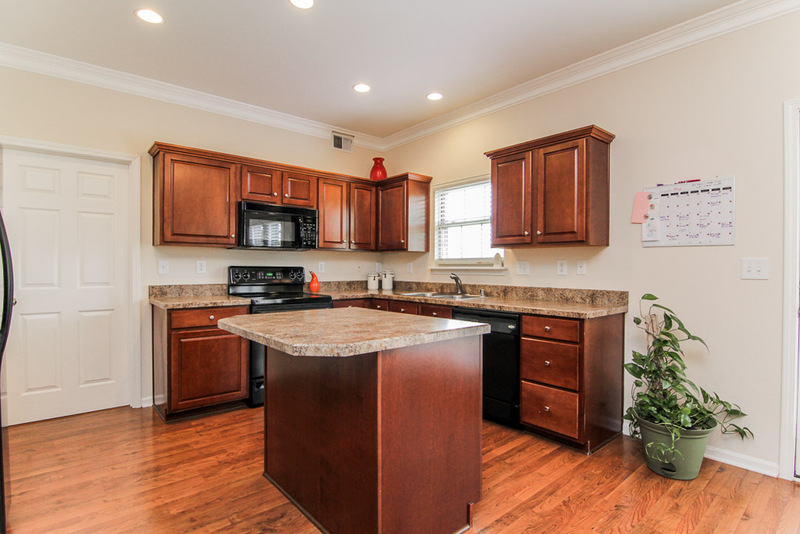 The eat-in kitchen has ample workspace, including a center island, and all appliances remain with the home. The laundry room with its useful utility sink connects to the kitchen and passes through to the 2-car garage. The separate dining room has more than enough space for a large table and furniture ensemble. The kitchen area walks out onto a wooden deck where the benefits of not having neighbors right behind your home becomes apparent as you enjoy relaxing evenings or entertaining family and friends. A half-bath for guests completes the first floor. The upper sleeping level features a master bedroom that is capable of holding a king-sized bedroom suite and includes a peaceful open view across the golf course. The walk-in closet is more spacious than typical and the en-suite master bathroom features a soaking tub, a separate shower, a dual vanity and a water closet. Three additional bedrooms and a full bathroom are also found on this level. The lower level is partially finished and includes additional storage space. The finished area makes for a great place for friends and family to gather and has the capability of being customized to fit your needs. The home includes an in-ground sprinkler system and has a radon mitigation system installed. The neighborhood itself boasts of many amenities, including sidewalks, walking trails, scenic lakes, a clubhouse, pool, tennis courts and more. The golf course is an 18-golf championship course challenging for even the best players and has a separate clubhouse. Additional fees apply to use some neighborhood amenities, including the golf course - please inquire. The area surrounding the subdivision includes excellent schools, access to the Gene Snyder Freeway and I-64, plus you are in close proximity to an abundance of shopping and dining options. 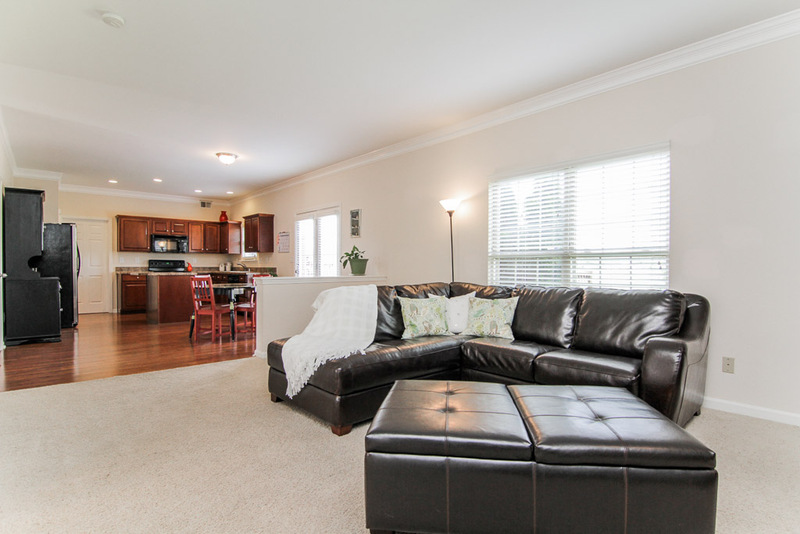 Make plans for your private showing of 15201 Abington Ridge Place to see for yourself all this home has to offer!